KANSAS CITY, Mo. (Sept. 8, 2016) – Kansas City-based architecture firm Generator Studio recently announced the addition of the Minnesota Vikings to its roster of stadium and sports venue clients. 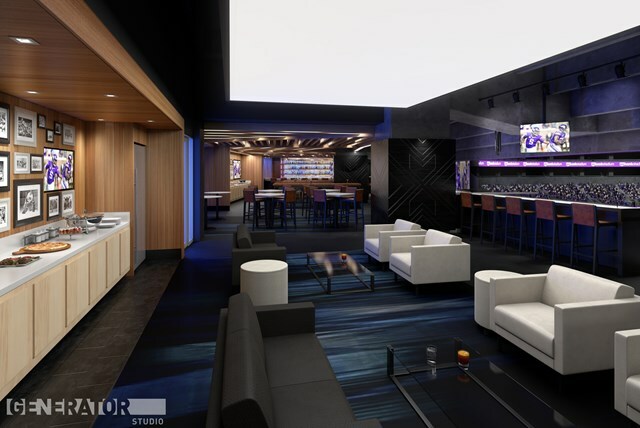 Generator Studio took on a $7.5 million, 17,500-total-square-foot expansion on the upper suite level of U.S. Bank Stadium that provides the Vikings and the Minnesota Sports Facilities Authority a unique group sales space for both event and non-event days. The expansion includes three primary additions designed by Generator Studio to mimic Minnesota’s strong Scandinavian influence to fully capture the experience of being “Up North”: Group Sales Cabins, a Lodge Bar and a Truss Bar. The Group Sales Cabins and Lodge Bar are designed with flexibility in mind to accommodate various group and party sizes, while the Truss Bar is open to all patrons. The Truss Bar includes six boxes, 24 drink rail seats, and standing room for 426 people with a 131-foot linear foot bar adjacent to the primary roof support truss of the stadium – a vantage point unique in the stadium and unique in the NFL. Additionally, the Truss Bar features a new bridge that connects an existing escalator platform directly to it, allowing simplified access to the bar. The areas include views of the field, the west score board and the downtown Minneapolis skyline. The existing shell space of U.S. Bank Stadium was anticipated to be closed off for the opening season, however the Vikings accelerated the development of this space following strong ticket demand combined with the potential to unveil the stadium with another unique experience. The space will also be used by the Minnesota Super Bowl Host Committee during Super Bowl LII. The recently completed expansion adds 292 new ticketed seats and increases capacity to 904 people. The venue’s first sporting event was on August 3 with a soccer match between AC Milan and Chelsea, followed by two concerts: August 19 with Luke Bryan and August 20 with Metallica. Over the past six years, Generator Studio has worked with many professional sports teams to develop strategies to keep their facilities relevant and competitive by improving the fan experience and ultimately boosting revenue. Most notably, Generator Studio worked on a two-phase renovation to the Tampa Bay Lighting’s Amalie Arena, as well as a new center hung scoreboard and technology package at Xcel Energy Center. Generator Studio is currently working with the St. Louis Blues on renovation plans to Scottrade Center. Generator Studio is a full-service architecture firm specializing in sports, hospitality and mixed-use developments. Recent projects include new loge seating at Xcel Energy Center and a complete club level renovation of Amalie Arena, both improving patron experience. Founders Tom Proebstle and Mike Kress have been shaping the landscape of sports architecture over the last two decades, with Tom being named in 2016 by Sports Business Journal as one of the 50 Power Players for sports venue development. While at previous firms Ellerbe Becket and Crawford Architects, Mike and Tom left their mark on such projects as Bankers Life Fieldhouse, Lambeau Field, UNI’s McLeod Center, Fenway Park and Centurylink Field. What distinguishes Generator’s work is a passion for the business of sports, first understanding an organization’s unique challenges, market, brand essence and revenue goals. What results is differentiated design, with branding rooted in the very architecture itself and revenue opportunities steeped in an immersive fan experience. 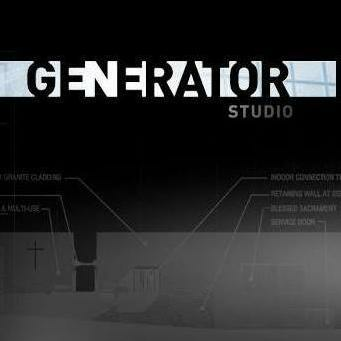 For additional information, visit generatorstudio.com.